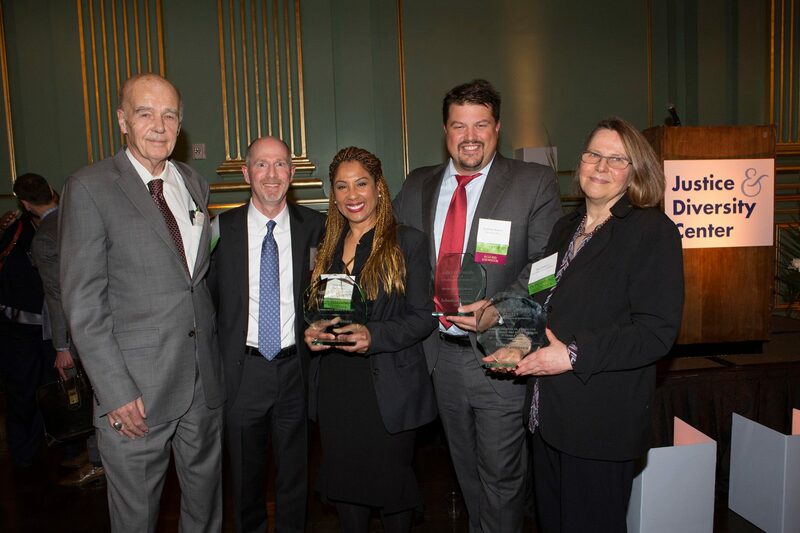 The Justice and Diversity Center of the Bar Association of San Francisco (JDC) celebrated its top volunteers at its annual Outstanding Volunteer Celebration on March 9. JDC honored the top 15 percent of its 2015 volunteers with Outstanding Volunteer Certificates. JDC also recognized three individual volunteers and a law firm with special awards. One of those volunteers was Betsy Johnsen, former ALRP Staff Attorney and Client Services Director. Betsy, who provides full-scope representation to low-income family law litigants and mentors other pro bono attorneys, received JDC’s 2015 James P. Preovolos Award for Outstanding Pro Bono Services in Family Law. Betsy was with ALRP from 1995 to 2001. Since leaving ALRP, Betsy has take over 30 cases as a Panel attorney. Congratulations, Betsy! We love to see members of the ALRP family recognized by other organizations in the pro bono community and deeply value their continued support of the Bay Area’s most vulnerable populations.